En este caso ud. recibirá una factura por correo electrónico que le permitirá abonar el precio con su tarjeta de crédito. 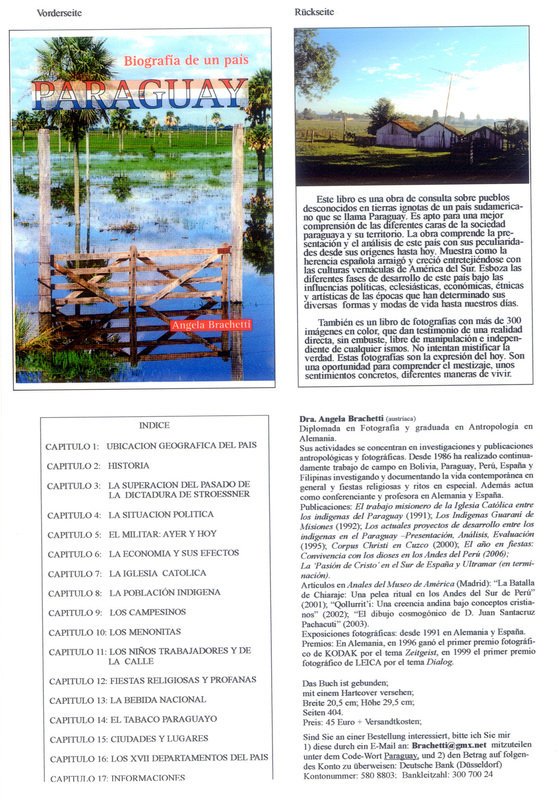 Shipping: from 3,00 to 12,00 € depending on weight and destiny (5,- € for the English-Guarani-Dictionary to USA by air). Payment: you will receive a paypal e-mail billing which allows you a secure payment by credit card (additional cost: 1 €).